Upon completion of this lesson, you will be able to use the Preflight screen to check valuable information regarding the aircraft (or boat) status, your pilot status, and the rental rate and fuel cap (if applicable). Simply follow these step-by-step instructions to get started. 1. The preflight link for your schedule is available for most organizations within 12-24 hours of the beginning of your schedule. 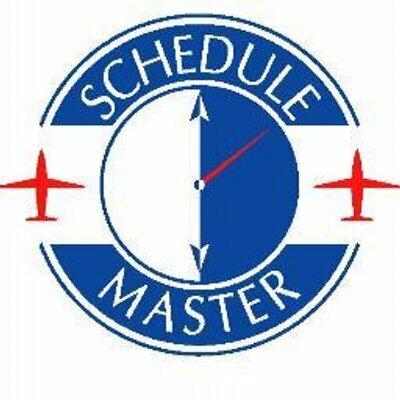 Within approximately 4 hours of the beginning of your schedule, you may be redirected to the Preflight/Postflight list (if your organization is configured for this). 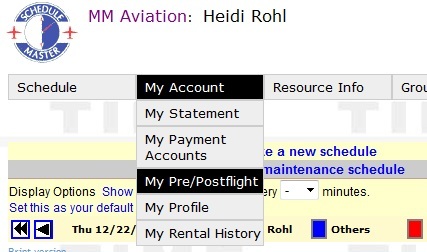 If you are not redirected, you can also get to the Preflight page by selecting "My Account" >> "My Pre/Postflight" from the menu. 2. Then from the Preflight/Postflight list (aka Dispatch Q) click the link (date/time) of the schedule you would like to preflight as pictured below. The resource name and rental rate. The rental rate listed here will be saved for use in the postflight entry. Checkbox labeled 'I reviewed ...' You will need to check this box to confirm that you have reviewed the aircraft and pilot status before saving your preflight. Instructions (e.g. Take this printed page...) that are customized for your organization. Fuel cap: #.##/gal - This rate will only be listed if your organization reimburses fuel receipts for fuel purchased by user and if they have a maximum $/gal for fuel. Grid for recording Hobbs and/or Tach and other miscellaneous information. 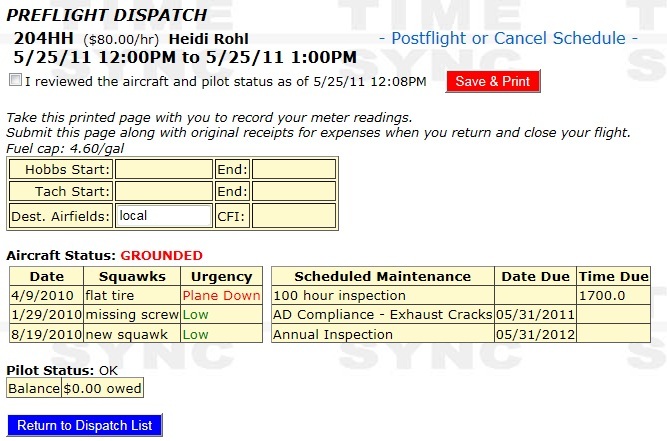 Aircraft status (GROUNDED or OK) along with details related to any existing squawks or upcoming scheduled maintenance. Pilot status (GROUNDED or OK) along with details on any expired dates (e.g. medical, flight review) and account status. When you are done, click the checkbox and then the "Save" button. You will also have the option to print. Note: You also have the option to cancel the schedule from this page if you decided not to keep your schedule.